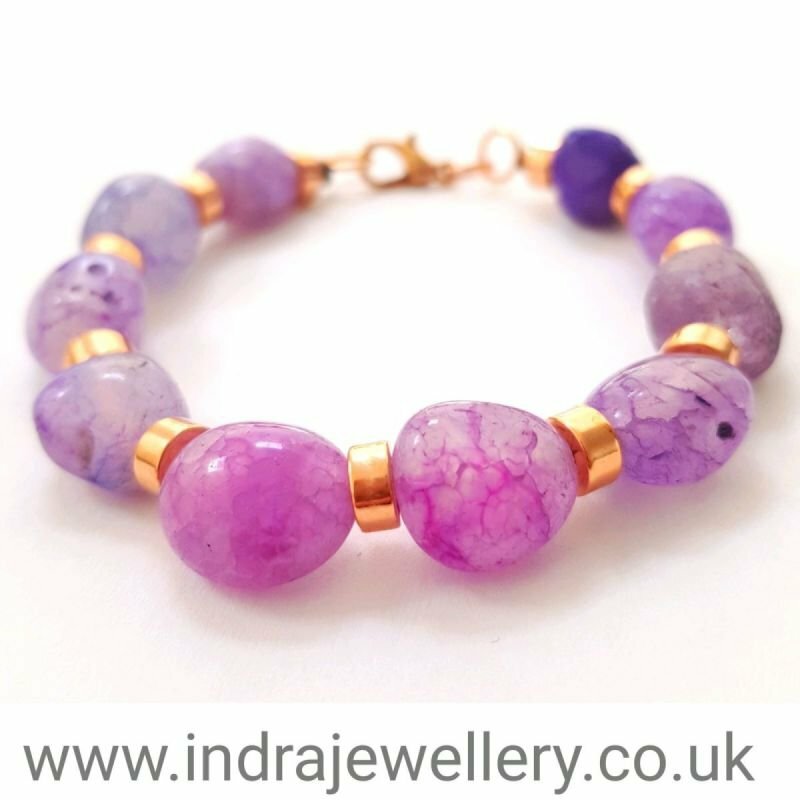 This is a gorgeous bracelet, made with beautiful irregular shaped onyx beads which naturally are a fabulous purple/pink colour! I have added some rose gold toned spacer beads to finish. This bracelet makes a perfect little gift which is affordable, pretty and unusual.